Available everywhere: Amazon, Barnes & Noble, Kobo, iBooks and GooglePlay. 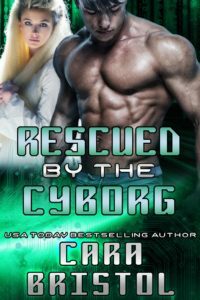 Rescued by the Cyborg is a novella originally published in Embrace the Romance: Pets in Space 2 (which hit the USA Today bestseller list!). Pets in Space 2 is “out of print” now, but Rescue by the Cyborg has been released as a single title.